Sure, you could buy a Nest Learning Thermostat and call it a day. But there are so many smart thermostats to choose from. We'll help you pick the right one. The best smart thermostat will have an outsize impact not only how comfortable you are in your home, but also on your household budget. Heating and cooling your home accounts for nearly half of the average home’s utility bills, according to the U.S. Department of Energy. A programmable thermostat can help reduce those costs by turning your HVAC system on when you anticipate being home, and off when you don’t think you’ll need indoor climate control. A smart thermostat goes far beyond relying on a simple schedule. It will not only enable you to create more sophisticated schedules for every day of the week, and give you complete control over your HVAC system, even when you’re away from home. We continually test and evaluate smart thermostats and can help you find the right one for your home. 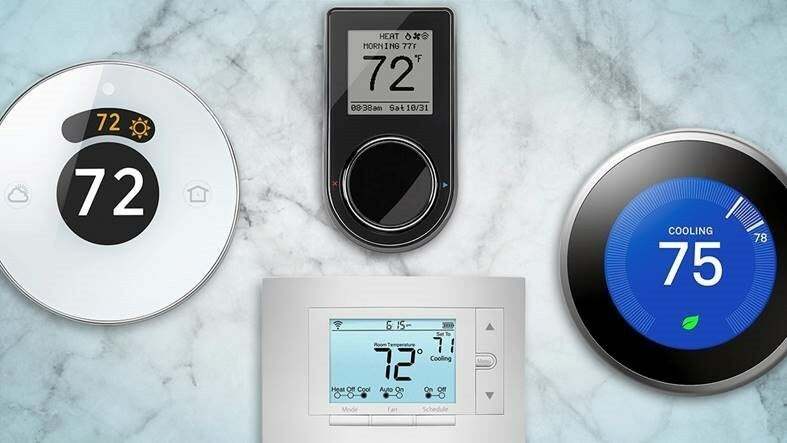 Updated April 2, 2019 to add our review of the Sinopé smart thermostat for line-voltage heaters. If you heat your home using electric baseboard, convector, or radiant (in the floor or ceiling) heaters, the more commonly known smart thermostats (Nest and Ecobee, for instance) won't work. This model from Sinopé is the first of its type that we've reviewed, and we like it. But since it is our first, we're not quite ready to name it the best in its category. Ecobee remains our favorite thermostat, but adding Alexa functionality seems rather extraneous. Nest usually gets all the attention—and the company deserves credit for shaking up a once sleepy market—but we think the Ecobee4 is the best choice when it comes to smart thermostats. The big change over the Ecobee3? The new model harbors an Amazon Echo clone. We’re not sure the addition was absolutely necessary, but it doesn’t inflate the thermostat’s cost over our previous pick (and there’s really no reason to upgrade if you already own one). Most of the other smart thermostats we’ve tested rely on measuring a home’s temperature in just one spot: Where the thermostat is located. Trouble is, that spot is usually in a hallway or somewhere else that you never spend any time in. The Ecobee4 lets you place sensors in multiple rooms in your home, so you’ll always be comfortable where you do spend most of your time. The Ecobee4 is also compatible with just about every other smart home device you can imagine, including Samsung’s SmartThings, Wink, Haiku ceiling fans, and Apple’s HomeKit ecosystem. 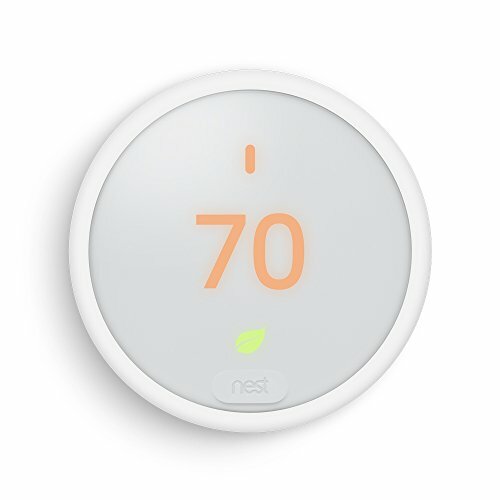 The Nest is still the best for users who don’t want to think about their thermostat, but it's no longer our top pick. Don’t count Nest out of the thermostat game. The Google division has worked harder than anyone to build out a comprehensive smart home ecosystem with its own products—the Nest Cam security camera series and the Nest Protect smoke and carbon-monoxide detectors—as well as a wide array of third-party products: Everything from ceiling fans to lighting controls and even smart appliances. The recent addition of the Nest Temperature Sensor makes this device even smarter. So why does it garner runner-up status here? Nest counts on your buying other Nest products to help determine when you’re home and away, for starters. And anyone investing—or planning to invest—in Apple’s up-and-coming HomeKit ecosystem should steer clear of Nest products. The Lyric T5 is less sophisticated than many other smart thermostats, but you might not care given its price tag. 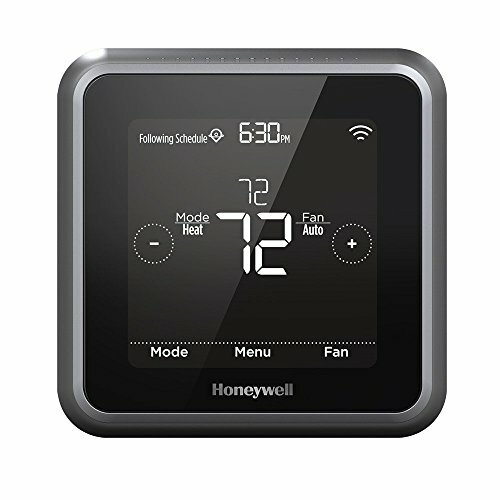 If you don’t need all the bells and whistles that fancier smart thermostats offer (and you don’t need to control a humidifier, dehumidifier, or ventilator), Honeywell’s Lyric T5 is a great choice. It’s not as sophisticated as our top picks in this category, but it’s considerably less expensive. 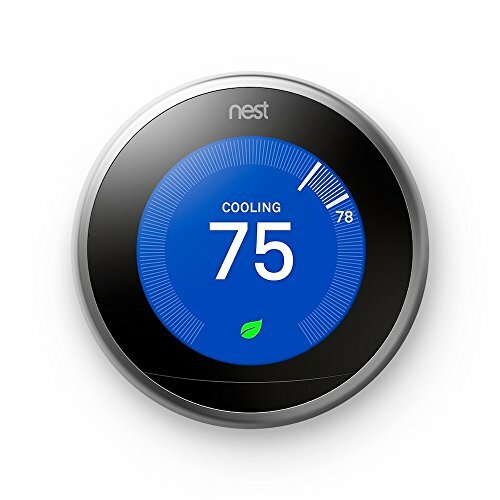 The lower price tag for most of the same functionality should put a Nest thermostat in more homes. Building the Nest Thermostat E with plastic, instead of glass and stainless steel, helped the company shave $80 on its price tag. While it’s designed to blend into its surroundings, versus calling attention to itself in the way its pricier stablemate does, the model E has most of the same smarts, and it’s compatible with the Nest Temperature Sensor. It is not, however, capable of controlling some of the more sophisticated HVAC systems on the market. Make sure it’s compatible with yours before you purchase one. C-wire requirement Most smart thermostats require more electrical power than a set of batteries can provide. Fortunately, they don’t require so much power than they need to be plugged into the wall. They rely instead on low-voltage power provided by your HVAC system. Many smart thermostats require the presence of a dedicated C (common) wire for this purpose, while others can siphon electricity from another source, typically the R (power) wire. But the latter practice is known to cause problems with some HVAC systems, including permanent damage. If you pull out your existing thermostat to install a smart model and find no C wire connected to it, look inside the wall to see if there’s one that hasn’t been connected. If there’s no C wire, our advice is to have one installed. Only a couple of the thermostats reviewed here require a C wire, but all the manufacturers highly recommend using one. Ease of installation A thermostat shouldn’t be difficult to install, even if you’re only moderately handy. The manufacturer should provide comprehensive, yet easy-to-understand instructions with plenty of photographs or illustrations to guide you through the process. The thermostat itself should be clearly indicate which wires go where, and most companies provide labels that you can attach to the wires coming out of the wall as you disconnect and remove your old model. The wires themselves should be color coded, but a good practice is to photograph your old thermostat for reference before you take it down. Geofencing This feature uses the thermostat’s app and your smartphone’s GPS chip to establish a perimeter around your home. When you leave the perimeter, you presumably no longer need to heat and cool your home, or you can at least have the thermostat adjust the temperature so that it’s not running unnecessarily. When you cross the perimeter again as you come home, your HVAC system can kick into action so your house is comfortable when you walk in the door. Remote Access Remote access enables you to control your thermostat from afar, so that you can check in and adjust the temperature from wherever you have a connection to the internet. System complexity Each of the thermostats we tested support multi-stage heating, ventilation, and air conditioning (HVAC) systems, as well as heat pump systems. If your home is divided into zones that are heated and cooled independently of each other, you’ll probably need one thermostat for each zone. A single app should be able to control multiple zones. 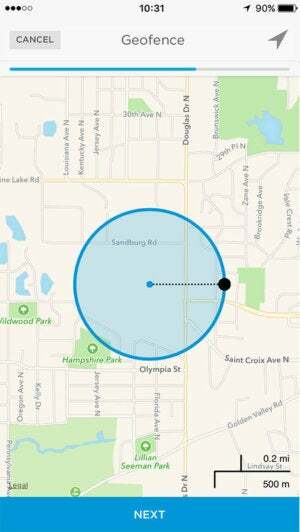 Sensors Geofencing is great—provided everyone who lives in the home has a smartphone. Motion and proximity sensors offer an alternative means of determining if your home is occupied and therefor in need of climate control. The original Nest thermostat was often criticized for relying too much on its motion sensor. If no one walked past it often enough, it would decide that the house was empty and it would stop heating or cooling. Some smart thermostats can also tap into door and window sensors as well as the motion sensors for your home security system. And proximity sensors on the thermostat itself can trigger a thermostat’s display to turn on when you walk past it, making the screens a handy feature in their own right, even if for no other reason than providing a nighttime pathway light. The best smart thermostats can be integrated into broader smart home systems, such as Samsung’s SmartThings. Smart-home system integration Every smart thermostat comes with an app so you can control it with your smartphone or tablet, but the best models can also be integrated with other smart-home devices and broader smart-home systems. This can range from being able to adjust the temperature with a voice command via an Amazon Echo or Google Home digital assistant, to linking to your smoke detector so that your fan automatically turns off when fire is detected, preventing smoke from being circulated throughout your home. 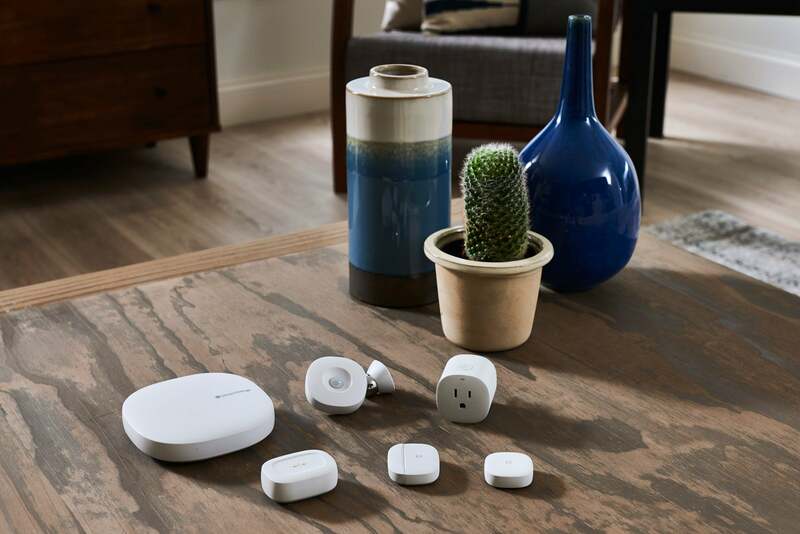 Other options to consider include IFTTT and Stringify support, Apple HomeKit compatibility, smart-vent connectivity, and tie-ins with home security systems. User interface Long gone are the days when a thermostat’s user interface consisted of numbers on a dial. The more sophisticated a device becomes, the more difficult it can be to learn to use. The last thing you want to be doing is staring at inscrutable hieroglyphics on the wall when all you really want is to be warmer or cooler. A smart thermostat should convey important information at a glance and should easily adapt to your specific needs. We install thermostats in a single-family home with a conventional HVAC system and use each one for a week or more to determine how effective it is at maintaining a comfortable environment. The home’s existing thermostat was wired with G, R, W, and Y wires. There was also a C wire in the wall that was connected to the furnace, but that had not been previously used. While there is no regulated standard for color-coding HVAC wires, industry practice has the G wire connecting the thermostat to the fan. This wire is typically green. The R wire, typically red, is for power. Some systems have separate power wires for heating and cooling and are labeled RH and RC respectively. The typically white W wire is for auxiliary heat; i.e., a second source of heat. The Y wire, which is typically yellow, connects the thermostat to your air conditioner. Finally, the C or “common” wire is used to carry power and is typically blue (think cerulean if you need a mnemonic). Although not perfect, the Lyric Round is a commendably smart and functional thermostat. An attractive smart thermostat that doesn't go over the top. For third-gen Nest and Nest E owners, sensors make a great upgrade to an already very good thermostat. 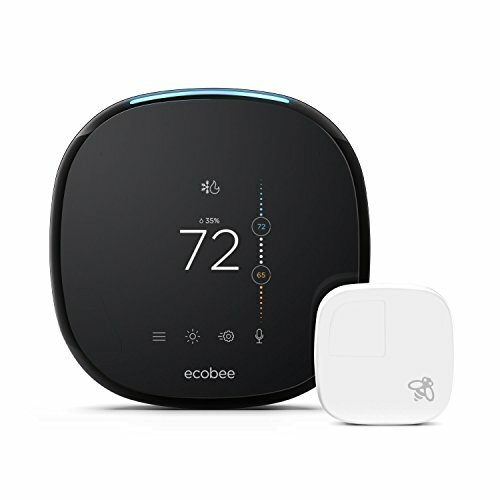 The Ecobee3’s unique use of remote sensors means it can monitor the temperature well beyond the actual thermostat, which makes it an excellent choice. The Ecobee3 Lite is an excellent thermostat, but it loses a little shine because its remote sensors cost extra. Superb industrial design and a great user interface, but the GLAS's Cortana implementation doesn't deliver enough benefits to justify its high price tag. An excellent and reliable solution for making your high-voltage heater smarter and efficient. This is a solid thermometer and humidity monitor, but it's expensive can only be integrated with HomeKit smart-home devices. The Sensi is like your old thermostat with the addition of some excellent Wi-Fi features. This smart thermostat is easy to use, but it looks, feels, and operates like the budget-priced device that it is. Swappable faceplates and a moderate price tag help elevate this otherwise basic smart thermostat. Not technically smart, but a very solid middle ground between dumb and smart thermostats. Jason D'Aprile has been writing about technology and entertainment since the early 90s from his secluded home in West Virginia.